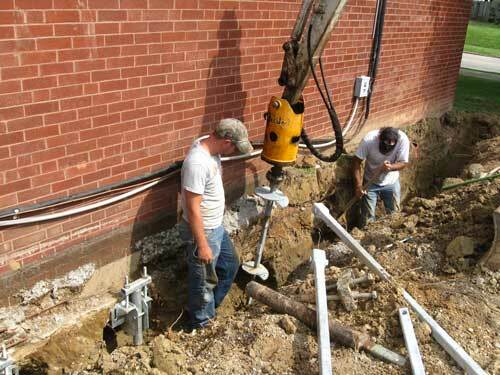 Underpinning using A.B. Chance. Since 1912, CHANCE has been the leader in the anchor industry. A.B. Chance is the world’s leading foundation repair expert and foundation manufacturer. The CHANCE® Helical Pile System offers a well recognized and extremely cost effective alternative to other pile systems and is backed by over 100 years of engineering experience. The system is backed with a thirty-year warranty and all distributors including McCloy Construction are certified experts in all of our foundation systems. For residential, commercial, or industrial foundation construction, trust your next project to the professionals at CHANCE® Civil Construction using A.B. Chance.